On arrival at Colombo airport, you will be met by our chauffeur guide who will be your driver and companion during your stay in Sri Lanka. Our guides have the statutory license from the Sri Lankan Tourism Development Authority and are knowledgeable and selected for being fluent in a language you are comfortable in. He will take you in a comfortable air conditioned vehicle to Anuradhapura. 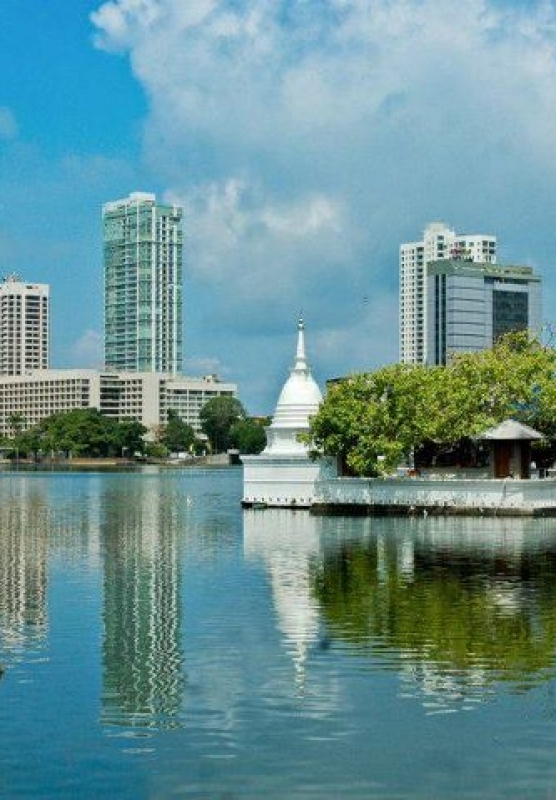 Anuradhapura – the heart or Sri Lanka’s ancient civilization dates back to the ninth century B.C. and it was the islands capital for 1500 years. Its palaces, its gigantic reservoirs, its shrines 150 metres tall, are engineering marvels still. On-going excavations reveal more wonders daily, including the records of ancient travellers whilst pilgrims from all over the world attest to its continuing appeal to Buddhists as well as art lovers. A visit at a full moon day is especially rewarding. Overnight stay at Anuradhapura. In Anuradhapura (A UNESCO World Heritage site), view the stupendous brick dagobas , “Brazen Palace”, Sacred Bo-Tree, Samadhi Buddha, Isurumuniya Temple and Twin Ponds – monuments over 2000 years old. Return to your hotel. Overnight stay at Anuradhapura. Proceed to Polonnaruwa (A UNESCO World Heritage site) where the second capital of the island shows the influence of Hindu culture on sculptures and architecture the result of South Indian contact a thousand year ago. After almost 15 centuries of rule in Anuradhapura, invading South Indian “Chola” Kings moved the capital to Polonnaruwa in the 11th century AD after destroying the former capital. Polonnaruwa remained the capital of Sri Lanka for nearly 3 centuries. Their palaces, shrines and universities remain today as picturesque ruins, a fascinating blend of Hindu and Buddhist art. The giant monolithic statues at the Gal Vihara, the Royal Lotus Pool and the Parakrama Samudra reservoir are noteworthy, as is the new well designed Museum near the rest house. Drive to Sigiriya via Habarana. Overnight stay at Sigiriya. Climb the rock fortress of Sigiriya(A UNESCO world heritage site). 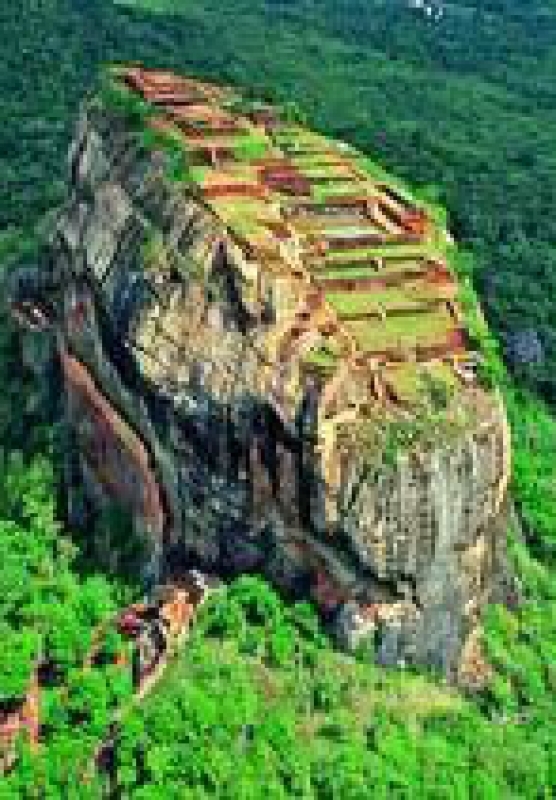 Sigiriya was developed by King Kasyapa, a parricide usurper. This “fortress in the sky” is a masterpiece of design and construction. Famous for its frescoes of bathing belles in daring dress, there is much to see including the “Mirror Wall”, palace remains, herb & water gardens. For those with the stamina, a climb to the top of the rock via the ‘Lion’s Paw’ staircase will be rewarded with a breathtaking and magnificent view of the surroundings, as much as King Kasyapa would have seen but also his vantage point to anticipate and protect his kingdom from his brother, set to avenge the death of their father. A little rest and leisure after this activity will be all the more enjoyable. Overnight stay at Sigiriya. Visit the Dambulla cave temple, dating back to 1st century B.C, a UNESCO World Heritage site. Its rock ceiling is one large sweep of colourful frescoes depicting tales of Lord Buddha’s previous lives. Drive up in to the hills via Matale to Kandy. En route visit a spice garden and a batik factory. Kandy – Centred on an artificial lake built by her last king in the early 19th century, Kandy is a bustling mountain city. The Temple of the Tooth (A UNESCO World Heritage site) houses the Tooth Relic of the Buddha in the palace compound. The 18th century Royal Botanical Gardens offers an unparalleled variety of tropical plants; and crafts shops, markets and the park like university campus form other centres of interest. In the surrounding villages are mediaeval temples such as Embekke, Lankatilake and Gadaladeniya – with paintings and wood carved pillars to marvel at. For those with the itch, Kandy has a new championship golf course, rated as one of the most beautiful in Asia, the marvellous double curvature Victoria dam (hydro electric) and a range of hotels to suit all purses. In the evening watch a cultural performance featuring the various dance types and drummers of Sri Lanka. Overnight stay at Kandy. Visit the Peradeniya Botanical Gardens. The gardens are on the banks of the Mahaweli River, the longest river in Sri Lanka. The gorgeous gardens were first planted and laid out for King Kirthi Sri Rajasingha (1747 – 1780) and cover some 150 acres of trees, lawns and flowering shrubs. The National Herbarium is also situated here where some samples go back more than 100 years. Under British rule, the Royal Park became a botanical garden in 1821 and is then largest of Sri Lanka’s three main botanical gardens. Here, exotic crops such as coffee (which was actually the first plantation crop in Sri Lanka), tea, nutmeg, rubber and cinchona (quinine) – all of which later became important to Sri Lanka’s economy – were tested. Don’t miss the majestic palm avenue, planted by the British in 1905. Visit the Temple of the Tooth, colourful fruit and vegetable market and bazaar. Evening optional: View a Kandyan dance recital. Overnight stay at Kandy. Climb again to Nuwara Eliya, the famous hill station (1,800 m). Nuwara Eliya, founded by Sir Samuel Baker – the Nile explorer, among some of Sri Lanka’s most verdant hillsides at 1800m above sea level, is more reminiscent of the days of the English tea planters than any other place in Sri Lanka. This is hardly surprising, for Nuwara Eliya was built entirely during the 19th century and its architecture mimics that of an English country town, with redbrick walls and mock Tudor halftimbering. Though the British planters and officials who found Nuwara Eliya a congenial place to escape from the heat of the lowlands are long gone, Sri Lanka’s well-to-do still migrate to its cool climes during the hottest parts of the year and especially during the Sinhalese New Year holidays in April. With mountain forests, wilderness areas and national parks in easy reach. It a18-hole golf course which is Asia’s oldest. Visit a tea plantation and factory on the way. Overnight stay at Nuwara Eliya. Early morning an excursion to Horton Plains – its hike of 4 kilometers one way. Leave for Horton Plains, and enjoy the view from 7000 feet at “Worlds End” down to the sea (weather permitting). This 3162 hectares National Park is a complex of enchanting natural beauty of the island, located 7000 ft. above sea level. Best known for World’s End, which on a clear day offers a spectacular view nearly 80 kilometers to the sea. This is also a habitat to leopards, Sambhur, deer and some birds: eagle, blue magpie, wood pigeon, yellow eared bulbuls, fan-tail warbler and white-eye and some 247 species of Butterflies, as well as rare orchids, keena (Calophyllum sp) trees and exotic sphagnum mosses, the only one of its kind in the world. 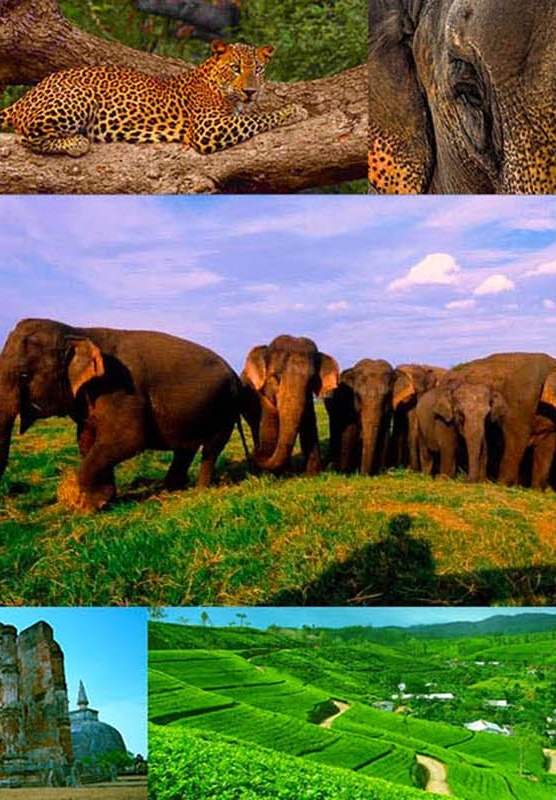 Horton Plain is a watershed of tremendous importance, containing the second and third highest mountains in Sri Lanka. Overnight stay at Nuwara Eliya. Down to the southern plain, to Yala via Ella and Wellawaya. You could visit the famous Ella Gap, Rawana Ella falls etc. Drive on to Kataragama: the Kiriwehera and shrine of Lord Murugan draw devotees of all faiths. Overnight stay at Yala. 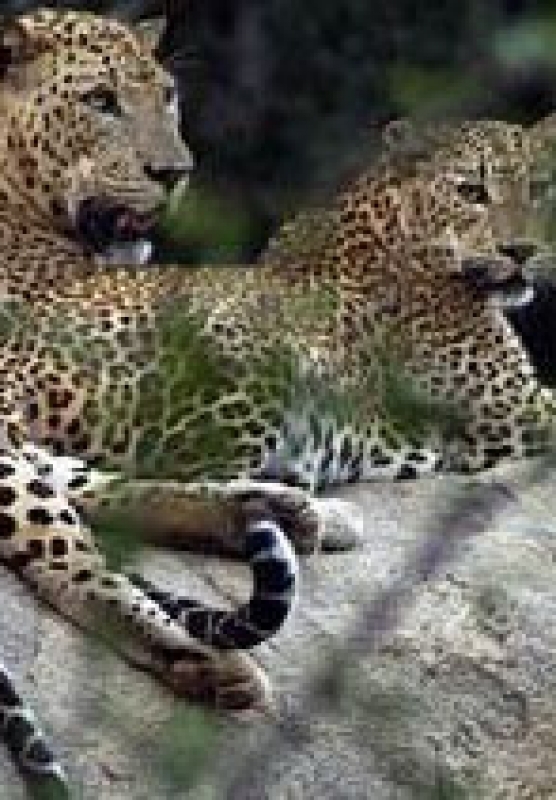 Safari by jeep to Yala National Park – see wild elephant, leopard, herds of buffalo, spotted deer, peafowl, water birds, colourful jungle fowl, raptors. Yala is approximately 1,259 s. km in extent and is located in the south eastern corner of the island. Its northern boundaries border on the Lahugala elephant sanctuary and it has the added bonus of a scenic ocean frontage. Drive to Unawatuna for your beach stay. Overnight stay at Unawatuna. At leisure on the beach Overnight stay at Unawatuna.